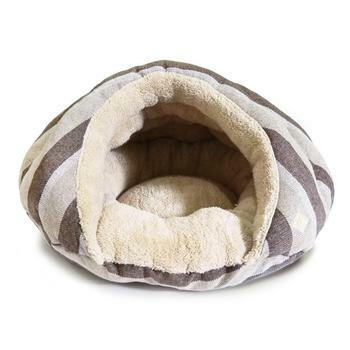 Your dog or cat will love to cuddle in this cozy designer styled bed. Adorned with rich shades of brown stripes, giving any room a touch of style. Your pet will appreciate how soft and cozy this bed is and also give them a sense of security unlike any other.